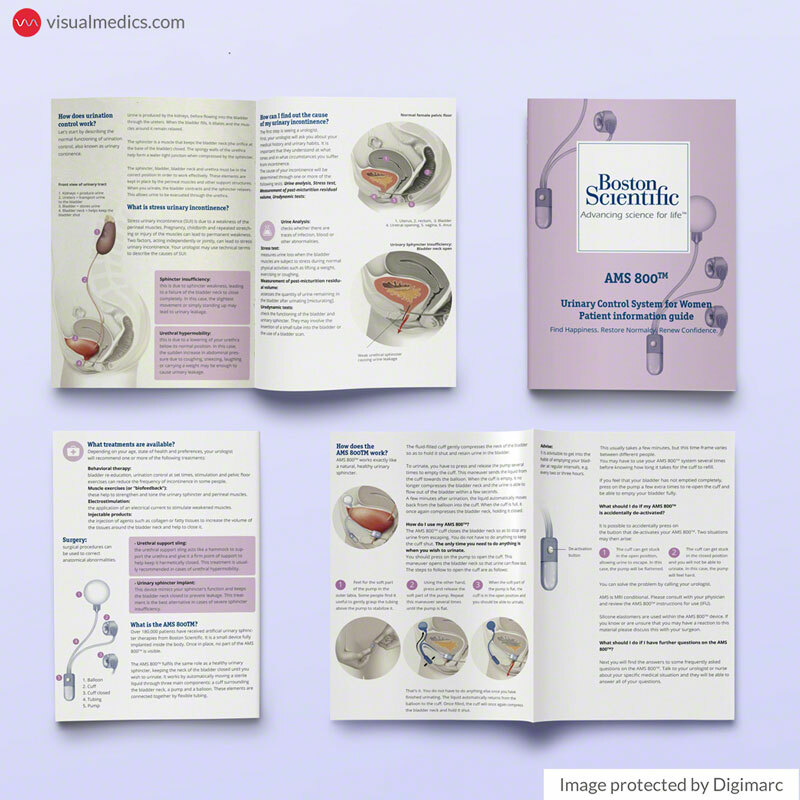 Description & process:Patient leaflet about placement of a female artificial Urinary system. The sphincter fulfills the same role as a healthy urinary sphincter, keeping the neck of the bladder closed. It works by automatically moving a sterile liquid through three main components: a cuff surrounding the bladder neck, a pump and a balloon. These elements are connected together by flexible tubing. Sphincter insufficiency, Urethral hypermobility, Uterus, bladder, medical device, incontinence.